There are two kinds of Kirby games: Those that follow the traditional platforming of the series, with Kirby able to copy the abilities of his enemies, and those that rip Kirby out of the platforming genre and do something more out of the box. 2004’s Kirby and the Amazing Mirror lies somewhere in between the two halves of the series. 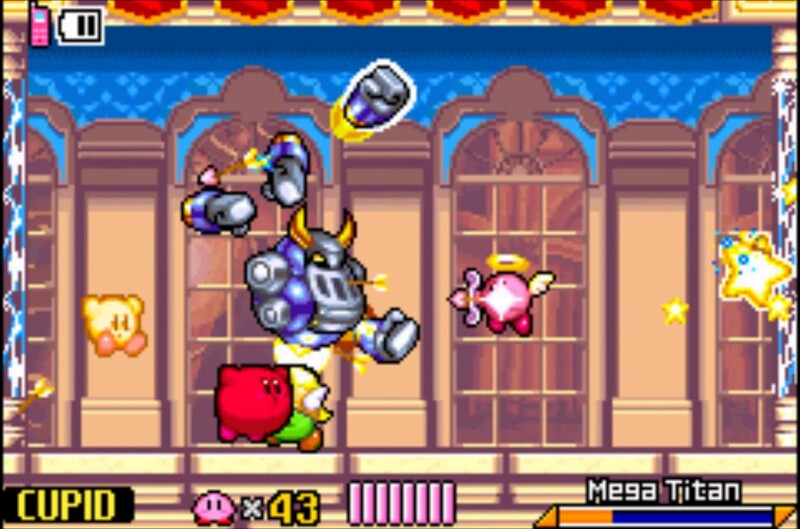 Amazing Mirror has the same basic gameplay of the traditional Kirby games, with the spherical pink hero being able to steal the powers of the bad guys he eats. He can jump, slide and fly, as is the norm for Kirby. But unusual for the series is that Amazing Mirror falls into the Metroidvania genre, with the level-based progression of most Kirby titles being tossed aside in favor of one big, explorative world. 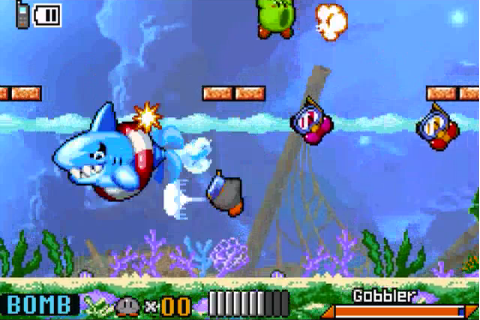 The game world is divided into nine themed “areas,” each one containing a major boss as well as mid-bosses, in addition to the usual sub-bosses from the Kirby series. 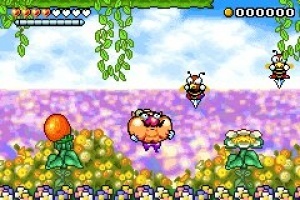 Though you don’t have to complete one-hundred percent of the map to complete the game, you will have to defeat every area’s main boss in order to finish the game, as each of them holds a fragment of the titular Amazing Mirror, which works as a portal to another world where a kidnapped Meta-Knight has been taken. 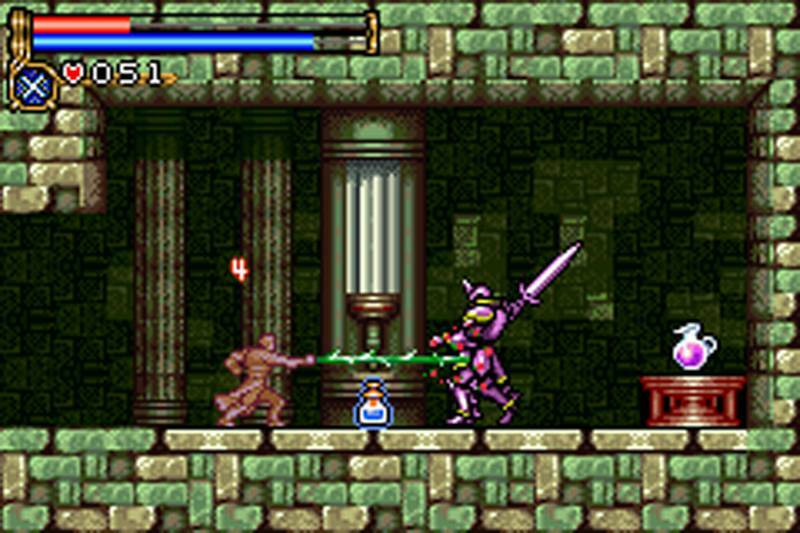 The Metroidvania setup is a unique take for the series, and was previously only touched on in the “Great Cave Offensive” sub-game of Kirby Superstar. It’s a refreshing change, but on the downside, the layout of the game could have used a little more polish, since the world of Amazing Mirror can be a bit on the confusing side. You’ll find yourself backtracking very frequently, as certain powers are needed to reach some areas. Unfortunately, this can prove to be more tedious than you might think, because the game world is so large and it’s often confusing where certain areas connect with others. Each area contains a map that can be found in a large treasure chest, but the maps aren’t nearly as helpful as they are in other games of the genre. Whereas Metroid and Castlevania’s maps give a clear indication of where one area connects with another, Amazing Mirror instead displays different sections as squares with lines in between them. Though it shows how many sections connect with each other, it’s a little too vague to provide any more help than a basic idea of where to go next. The game does provide a hub room which you can go back to at any time, but it doesn’t connect with each of the nine areas. Instead, you have to search through the areas themselves to find doors to some of the other areas, so if you need to backtrack for any reason it can become an arduous process. A key feature to the game’s original Game Boy Advance version that’s no longer present in the Wii U Virtual Console version is the multiplayer. In Amazing Mirror, Kirby has been split into four different colored versions of himself (the original pink, as well as red, yellow and green). The game was originally built with multiplayer in mind, with all four players being able to venture together or go their separate ways throughout the game’s world. 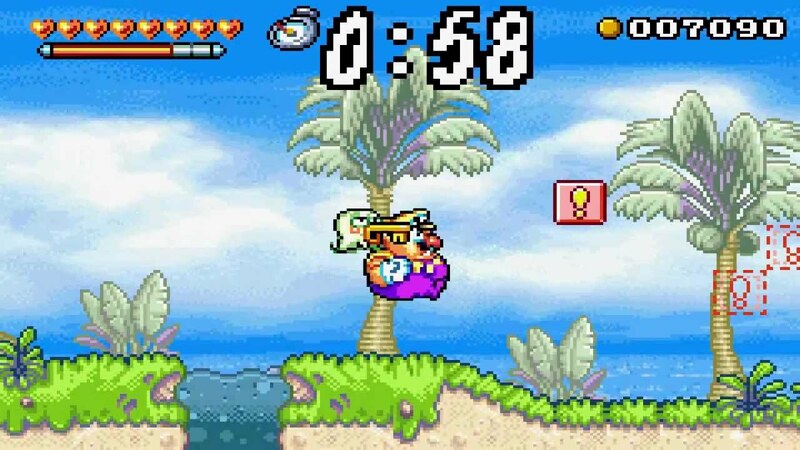 Some of the game’s hidden treasures (which include Music CDs and other collectibles) even require the aide of multiple Kirbys to reach them. Kirby still has his cell phone that allows him to call the other Kirbys for help, but their AI is so unreliable it turns claiming even the simplest treasure chest into a chore. Amazing Mirror also houses a trio of mini-games to play, but again this is a feature intended for multiplayer. You may have some quick bursts of fun with them, but unless you’re playing the GBA original with friends, the mini-games don’t have much staying power. 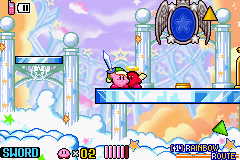 The core gameplay remains fun, as is always the case with Kirby. Some new powers introduced here include Cupid, which allows Kirby to fly more freely and shoot arrows, Missile, which naturally transforms Kirby into a wildly-controlled missile, and Smash, a cool power that gives Kirby his moveset from the Super Smash Bros. series. These powers are nice, but don’t add a whole lot to the experience. It’s a shame that they’ve rarely shown up in the series since, however, as they could have been expanded on. One missed opportunity of a power comes in the form of Magic which, despite the promising name, ends up being little more than a random roulette wheel with varying effects (like giving Kirby a different power, of all things). Another normality for the series are the quality visuals and sound. The game still looks impressive today, the character designs are simple and cute, and the game loses none of its visual charm when brought up to scale on a TV screen. The soundtrack is similarly lively, with a number of catchy tracks and memorable tunes. Kirby and the Amazing Mirror remains a fun game in essence, and I long for the day that Nintendo decides to revisit the concept of a Metroidvania Kirby. But the map and layout of the game hinder the otherwise interesting change of pace for the series. And the game’s emphasis on multiplayer features means the original GBA release is still the preferred version. Not to mention this is the only Kirby game in history to not feature King Dedede in any capacity. Now that’s just shameful. 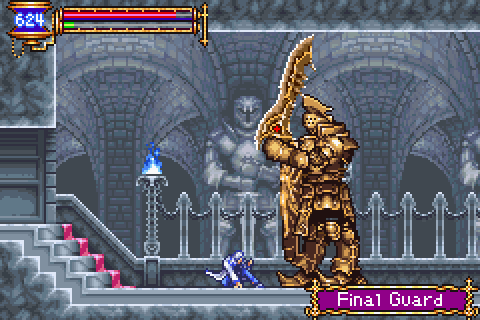 Symphony of the Night marked a major turning point for the Castlevania series. By combining the traditional Castlevania action-platforming with the exploration of Metroid and added RPG elements, it effectively launched the Metroidvania sub-genre as we know it today. Though recent years have seen a reboot on the franchise that abandons the Metroidvania structure in favor of 3D action, the style laid down by Symphony of the Night continued for a decade through six titles released on the Game Boy Advance and Nintendo DS. 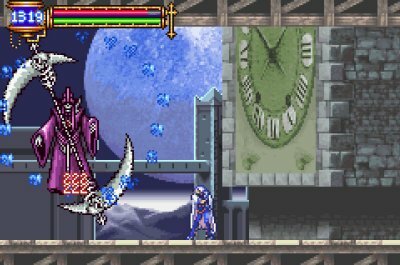 The first entry in the GBA trilogy, Circle of the Moon, had a lot to prove, being the closest thing to a successor to Symphony of the Night at the time. Though Circle of the Moon remains a fun game in its own right, today it feels somewhat lightweight compared to some of its other Metroidvania siblings. Circle of the Moon abandons the usual Belmont clan and Alucard in favor of a new hero named Nathan Graves. Nathan is the student of former Dracula-slayer Morris Baldwin, along with Morris’ son Hugh. When Dracula is once again resurrected by one of his minions, Nathan, Morris and Hugh venture to Dracula’s castle to banish the vampire lord. But upon their arrival, Dracula sends Nathan and Hugh plummeting into a pit, while Morris is kidnapped in order to be sacrificed to revive Dracula’s full power. Nathan and Hugh awake in the bowels of Dracula’s castle, with both going their separate ways to rescue their master before the sacrifice can take place at the full moon. It’s a simple plot even by Castlevania standards, and one that has been retconned as non-canon in the series’ timeline (to the chagrin of many fans). But any excuse to traverse the labyrinth of Dracula’s castle is a good one, I suppose. The first thing you’ll notice about Nathan Graves is that he controls very similarly to the Belmonts. He is even equipped with a magic, vampire-hunting whip. Like the Belmonts, he can also pick up secondary weapons such as throwing axes and boomerang-like crucifixes, which require collectible hearts to be used. On the downside, the whip is the only main weapon Nathan has. 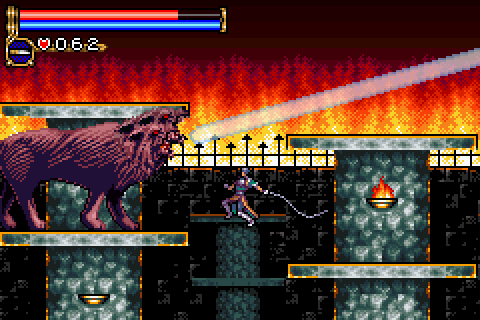 While the combination of Symphony’s structure and traditional Castlevania action is interesting, the lack of alternate weapons also means that Nathan’s gameplay lacks the variety of Alucard or Soma Cruz. On the plus side, the game has an unique hook in the form of the Duel Set-up System (DSS). The Duel Set-up System takes the form of magic cards that are found by defeating enemy monsters. There are two types of DSS cards: Action and Attribute. The action cards determine the type of magic that Nathan can use, while the attribute cards add different effects to them. For example, you can use an action card to add lightning damage to Nathan’s moves, and an attribute card that will multiply your strength by the percentage of the castle you’ve explored. You can combine one action and one attribute card at a time, for a total of 100 different combinations. The DSS cards are definitely an interesting twist, though they ultimately aren’t as captivating as the Tactical Soul System from the later Aria of Sorrow. And they are used somewhat awkwardly, since you use them by highlighting the cards in the pause menu, and then un-pausing, as opposed to simply selecting them in the menu itself. You then activate their powers by holding the L button, which eats up magic points. The castle itself is a decently large place, though it feels smaller than in the later handheld entries. Though it may feel bigger than it is due to Nathan’s slow movement, which makes traversing the place feel like a long process. You gain the ability to run early on, but you still have to activate it by pressing forward twice. A held button press may have felt more natural. Better still would be if Nathan Graves simply moved faster by default. Besides running, Nathan Graves learns other moves like double jumps and wall kicks after defeating bosses, which help him access new areas of the castle. You can still gain experience points and level up, but in order to boost your Hit Points, Magic Points, and Hearts, you have to find special items hidden throughout the castle. You can pick up armor for your body and both arms throughout the adventure, as well as healing items. But they end up feeling like tacked on elements. You rarely seem to have to change your armor, and most of the items seem to help with minimal effect, with initial potions only healing twenty hit points, which quickly becomes a very small fraction of your health. The graphics of the game have held up somewhat decently. The enemy designs still stand out, though Nathan Graves’ sprite looks simple even by GBA standards. 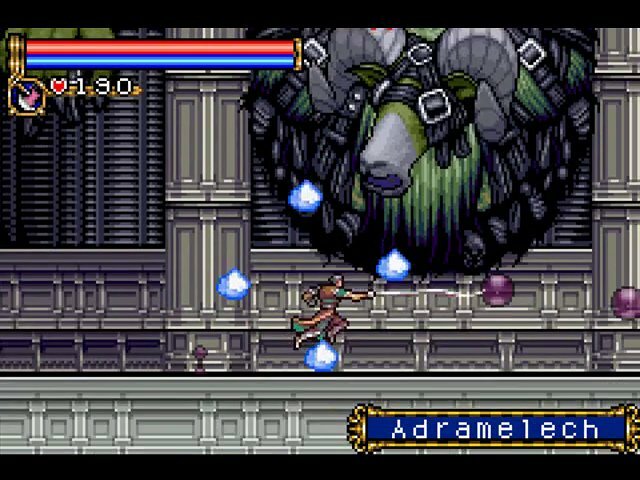 It doesn’t hold up as well as (the still beautiful) Aria of Sorrow when played on your TV through the Wii U Virtual Console, but it still looks nice on the Gamepad. The music is catchy, though it falls considerably short of the series’ standard. The other big drawback to Circle of the Moon is the castle itself. It just feels more straightforward and less creative than the castle found in the other Metroidvania entries of the series. And Nathan’s aforementioned slow pace only makes matters worse. It’s not terribly designed by any means, but where Symphony of the Night and Aria of Sorrow’s level structure are pure genius, Circle of the Moon’s castle just feels simple by comparison. Circle of the Moon remains a fun game, and the adventure will last a decently long time for a handheld title. The DSS cards also add a nice twist to the equation, but as a whole it feels like a more watered-down version of the Metroidvania concept. 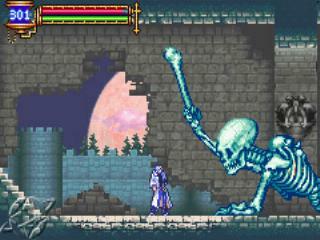 It does deserve credit for continuing this beloved style of Castlevania and bringing it to handhelds. 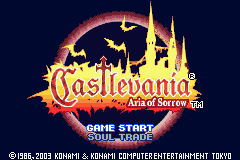 But it lacks the variety and depth of some of the more notable Castlevania titles of the style. 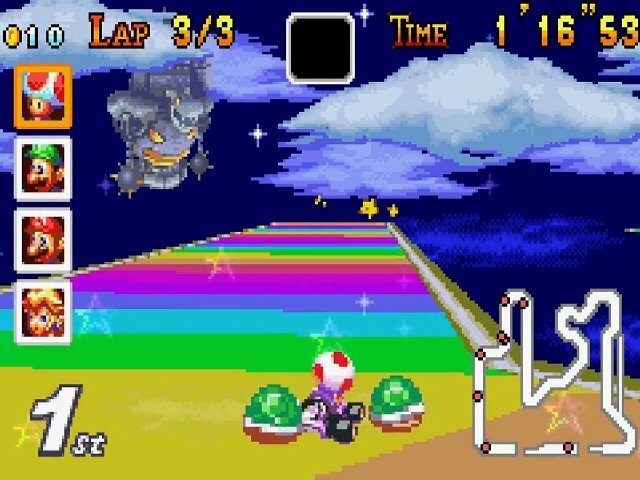 Though every Nintendo console and handheld since the SNES has had its own iteration of Mario Kart, the Game Boy Advance’s Mario Kart: Super Circuit is the only entry that plays like a direct sequel to the SNES’ Super Mario Kart. If you’re a fan of the original, then Super Circuit may be worth a revisit. Just know that it hasn’t aged quite as well as Super Mario Kart, and its transition to the Wii U Virtual Console has removed some key features. Super Circuit retains the play style of Super Mario Kart, where courses are mostly flat and straightforward when compared to the other sequels in the series (though they retain the fun Mario themes). Much like the original game, it feels more like the tracks are moving instead of the character, which can take some getting used to, especially when one realizes the turns are much sharper and the vehicles more slippery than in Super Mario Kart. It doesn’t feel as immediately fun as the SNES game, but for those with the patience for it, Super Circuit ends up being a similarly entertaining experience. There’s also a good sense of balance with computer AI and the items. Playing on 150cc will still prove incredibly difficult, but playing on lesser difficulties make things feel more fair and less random than in some entries of the series. The items consist of all the basics like bananas and shells, and lack the more overpowered weapons of later Mario Karts. 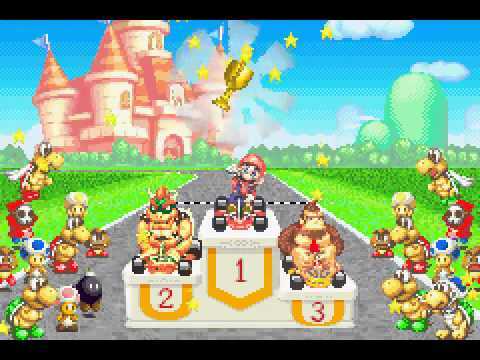 The character selection is identical to that of Mario Kart 64: Mario, Luigi, Peach, Yoshi, Bowser, Toad, Donkey Kong and Wario are all playable, with no secret or surprise characters making the roster. 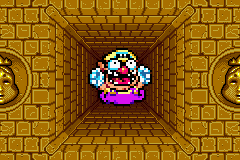 Even back in 2001 when the game was first released on GBA there was no shortage of Mario characters to work with, so the recycled selection is a minor bummer. The visuals are the aspect of the game that have been most affected by age. Though the game is colorful and the game’s merging of Super Mario Kart and Mario Kart 64’s art styles is interesting, it looks neither as lively as the former or even as visually pleasing as the latter (normally you’d expect an early 3D game like MK64 to have aged worse visually than a 2D game like Super Circuit, but somehow the exact opposite is true). The game’s Virtual Console release is also better suited for off-TV play on the Gamepad, since playing on the TV stretches the visuals and exposes its datedness all the more. Some of Super Circuit’s rotation effects might even prove bothersome to those with sensitive eyes. The single biggest drawback to the Virtual Console release, however, is that it no longer has a multiplayer option. That’s right, it’s Mario Kart without multiplayer now. If you can track down an original GBA copy of the game and a couple of link cables, you can still have some multiplayer fun. 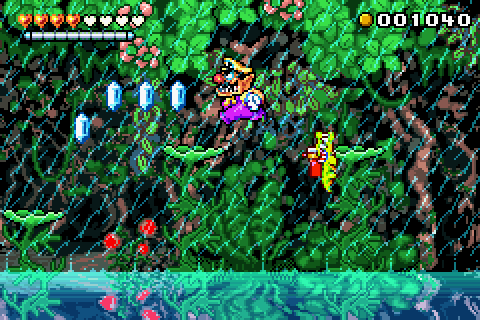 But without a means to replicate the link cables, or a split-screen option to make up for it, the Virtual Console version of the game lacks the series’ defining feature. Still, there’s fun to be had with the core gameplay. And additional single player modes like Time Trial and Quick Run (a more customizable VS. mode) ensure that there’s more to do than the Grand Prix mode. You can even unlock all twenty tracks from Super Mario Kart on top of the twenty tracks introduced here, giving Super Circuit more courses than any entry in the series up until Mario Kart 8 introduced DLC into the mix. So despite the limitations, there’s still plenty to do for solo players. If you cherish the gameplay of the original Super Mario Kart, then Super Circuit is still worth a spin, though preferably in its original GBA incarnation. For those who feel the series has improved for deviating from the SNES game’s blueprints, you may want to hit the brakes before downloading Super Circuit.